Like many people, I made the schoolboy error of imagining that I had little choice but to buy my domestic energy from a greedy giant squid of a business that would jack up its prices whenever a movement in world markets gave it the flimsiest excuse to do so, yet prove strangely slow to react when wholesale prices edged in the opposite direction. So I was greatly indebted to Energy Secretary Chris Huhne for his revelation at the weekend that the problem lay not with the energy companies but with consumers like me for being “too lazy” to shop around for the best deals. Nothing to do with me, guv. I wasn't even in the car at the time. This was ironic because I had just been spurred into action by a letter from my electricity supplier advising me that the price I pay would be going up next month by a staggering 30.5pc (no, not a misprint), because the “discounted tariff” I was blissfully unaware of enjoying was about to end and they would be switching me to their standard prices, which they had just put up. They went on, helpfully, to outline what I could expect to pay for my power in a three bedroom cottage in Northumberland over the next 12 months: a mere £7,075.22. Admittedly this was based on their persistent delusion that I consume 90pc of my power during the day, whereas the reality is that I use it at night, at the much cheaper Economy 7 rate, for storage heating. But this distinction would be of little importance if I were, say, a vulnerable old age pensioner, because instead of writing this column I would doubtless now be lying stone dead on the floor with their wretched letter in one hand and the other clutching my chest. As it was, though I had no recollection of signing up for the aforementioned discounted tariff, it seemed that the best course of action would be to go to their website and sign up for another one without delay. And, yes, they had bargain deals on offer, but only if I agreed to buy my gas from them as well. Which is not really an option when one lives miles from the nearest mains gas supply. So I finally went to one of those switching websites that Chris Huhne thinks are the bees’ knees and – yes, I could save more than £300 right away by switching supplier. 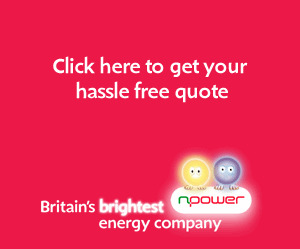 And my great value new supplier is … npower, the people I am already with, along with everyone else in the North East who has lazily allowed their account to be passed, parcel-like, through the hands of NEEB and Northern Electric. What a total farce. Though of a piece with my recent experience in car insurance, where a whopping premium increase from the company I have been using for the last seven years prompted me finally to try one of those comparison sites that advertise themselves with such infuriating persistence, with the result that I was able to obtain identical cover for less than half the price my established insurer hoped it could con me into coughing up. Meanwhile the personal finance pages of every newspaper are full of complaints from often elderly people who placed their savings in accounts paying an attractively high rate of interest (by today’s pathetic standards) only to find their money shunted, at the end of the initial fixed term, not to the next best product currently on offer but to something paying virtually no interest at all. The message to consumers in all cases is clear: loyalty is for mugs, and if you don’t watch us like hawks we’re going to rip you off at every chance we get. 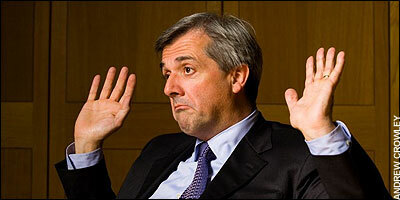 Perhaps it is not that we are lazy, Mr Huhne. We are just taking a little time to adjust to the brave new world that has such people in it. You are dead right, loyalty counts for diddly squat these days. I'm toughening up. Got my AA renewal yesterday - £155. Rang them and pointed out that I'd been with them for 30 years and was regretfully about to depart to the RAC. The news must have cut them to the quick because amazingly, they were able to give me the same cover for £90. Its a sad day when no one wants loyal customers, what i most resent is having this "new thinking" foisted upon me. I dont want to deal with this menial crap in my day!